Affordable Domains was purchased by GlobiCom Limited on the 1st of September 2016. It now falls part of the GlobiCom portfolio of companies which includes VpsCity NZ, VpsCity AU and VpsCity ZA. Affordable Domains has earned its place in the industry by delivering world-class products at affordable prices and providing our clients with a superior service 24/7. We are the only wholesale partner in New Zealand that guarantees a level playing field among our resellers with a fixed pricing schedule for all. We are an accredited registrar linked to only the best top-tier suppliers. Most importantly, we guarantee our account managers and technical support team are located right here in New Zealand. Affordable Domains is a company that is passionate about our products and services. We are continually revolutionising products and launching new innovative solutions and services. Our goal is to ensure that these solutions and services enable our clients to remain in the forefront of their industry. We do our best to earn your trust by providing you with the best product or service at the right price. Among the values we want to convey, there is transparency and honesty. There are no hidden charges. Relationships with our customers is the heart of our business. Nowadays, domain name providers lead a fierce battle on price. We provide all the tools for our customers to be able to sell products at a profit to their customers as no extra cost. We are not looking for quantity but quality to satisfy our most demanding customers. Our customers are individuals, SMEs and large companies, associations, institutions, major schools and universities. All trust us today to manage their portfolio of domain names and we treat them all the same way. Our approach and our mind can be summarised as: simplicity and efficiency at the best price. Our servers are hosted locally, which means that you and your clients will get the fastest connection to your website. We also offer international hosting. We don't lock you into any long-term agreements. If you change your mind about us, you can simply cancel at the end of the month. Our friendly, competent support team is available 24/7. You never have to worry about someone being available to assist you should you need it. 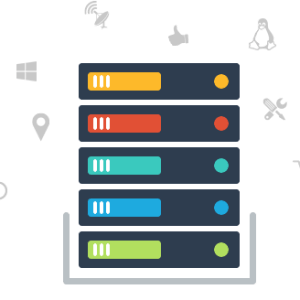 With Web Host Manager installed on your server, you can create as many different packages as you need to suit your client's hosting requirements. Your websites will be securely hosted on the latest hardware at state-of-the-art data centres. These facilities provide redundant power, fire suppression and excellent physical security. We guarantee you will be completely happy with our products and outstanding client service. We ensure that all our clients have access to our excellent support structure. We offer a comprehensive Knowledgebase and FAQs with all our products. In addition, our friendly, professional Sales, Support and Accounts staff are on hand to assist you with your domains, web hosting and SSL certificates. Start off with registering your domain name and building your website. Should you have an existing website, you can choose our Web Hosting, or ensure you and your client's security with our SSL Certificates. Get Started - It's quick and easy. It all starts with a domain name! We are here to help. Giving you the support, you need.